13205 is rated 5.0 out of 5 by 3. Rated 5 out of 5 by TommyCO from Great looking and works terrific Had to replace a worn out diaphragm on a Holley regulator. 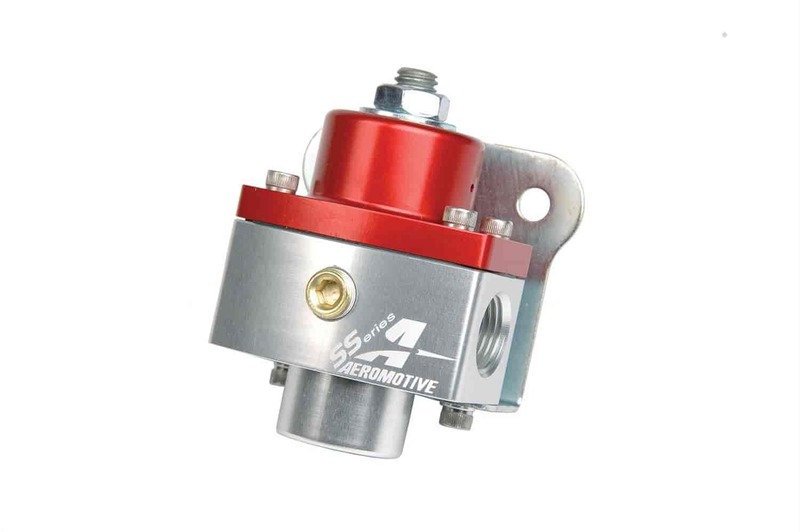 Decided to go with the Aeromotive regulator. Looks great and works terrific. Rated 5 out of 5 by Jimmyzzzz from It's the coolest looking regulator I just bought it easy install and adjustments. Something about aeromotive you know your getting a good product. Rated 5 out of 5 by JohnnyMac from Appears so far to be very well made My old regulator started to leak and it was years old so I just ordered a replacement of the same model. The new one lasted about 3 weeks. Don't buy one of these things. I figured I was going to have to spend a bit more to get anything that would work based on todays parts so I looked in the $100 range. So far the Aeromotive is working great. I particularly like the fact that it has an anti-creep feature built in. Creep can be a common problem with a dead head set up which is what I run. Does gas only mean no E 85 fuel? ?